Save space with our solutions. Looking for the ultimate storage? Click here to check our packs! 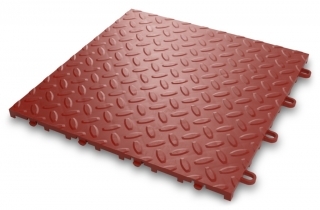 WHY GLADIATOR PRODUCTS FOR YOUR HOME AND GARAGE? 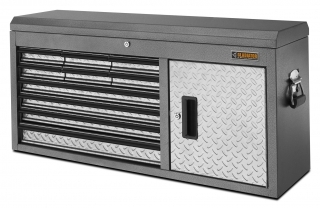 Gladiator® is the only complete garage organization system that also includes appliances. Our products are designed for the harsh environment of your home garage, and to get you organized once and for all. Choose from a selection of pre-designed rooms or start from scratch and build your own room. Get inspired by our easy and functional solutions and storage tips & tricks! Gladiator® has identified the garage as the major application of its concept. 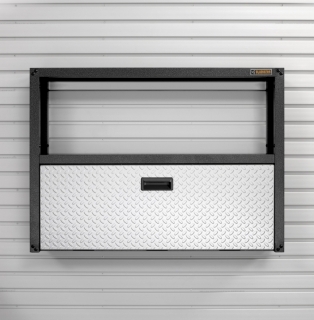 Its productrange provides easy and functional solutions for most challenges you may encounter when organizing your garage or other storage space. 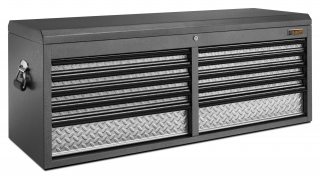 Gladiator® offers total storage solutions with its patented gearwall channels or panels. 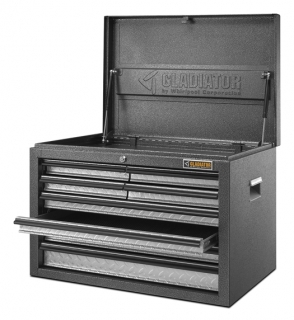 If you prefer to start out small, Gladiator® offers starter kits that can grow to complete solutions. Alternatively, Gladiator® offers a choice of packages for all types of budgets.